With so many supplements touted these days, it’s difficult to cut through the clutter and determine what we actually need. 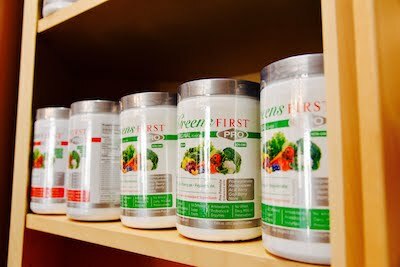 At Chaparral Chiropractic Wellness CentreChaparral Chiropractic Wellness Centre, we believe there are a few essentials of nutrition. One of those is omega-3. There are multiple health benefits associated with taking omega-3. It helps to control general inflammation in the body. There’s also research behind the benefits of it as it relates to heart health. If I were to recommend one supplement to take that would be at the top of the list. The increased amounts of stress and toxins as well as the decreased amounts of healthy nutrients and exercise further increase the daily requirements for EPA and DHA for today’s humans. It is estimated the we require EPA and DHA intake of approximately 370 mg/day and 240 mg/day respectively per 40 lbs or 18 kgs of body weight. The omega-3 supplements we offer at the practice are Innate Choice®. We chose this brand based on the high standards and the extraction process that keeps the fish oil in its most natural form possible. The omega-3s come in liquid or gel cap form. During the month of February we are offering a 10% discount to make getting your omega-3s more affordable. In our northern climate, we don’t get a lot of sunshine at this time of year. That’s why we also recommend vitamin D3 and sell those supplements at the practice. If you would like to know more about supplements that can help you contact our practice today!